One day it’s hot; the next it’s not. And then, it’s hot again. It’s true for fashion, music and even food. But if anyone can turn the ‘not’ back into ‘hot’, it’s Feast Portland. Though some may call Feast Portland a food and drink festival, the description does not do the event justice. It’s more like a movement showcasing the energy, creativity and enthusiasm driving America’s food revolution. It’s the consummate in foodie celebrations, from spirited, one-of-a-kind large-scale experiences featuring trendsetting chefs from all over the country, to intimate hands-on classes, collaborative dinners and educational panels. And while I wouldn’t count on avocado toast going away any time soon — because it’s just that good — this year brings exciting new and old food and drink trends to sink our teeth into and wrap our lips around. From boozy beverages to cannabis cuisine, Feast Portland shines the spotlight on the latest. 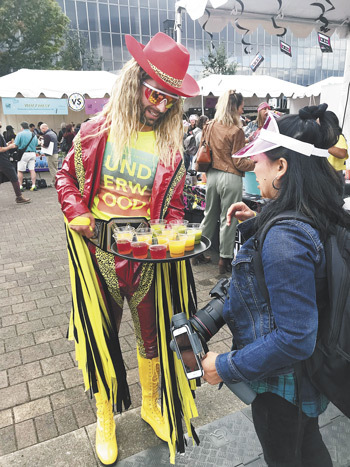 This year’s Feast Portland pitted the ’80s against the ’90s in an extravaganza where sightings of Day-Glo and grunge were as much a feast for the eyes as the food was for the tummy. 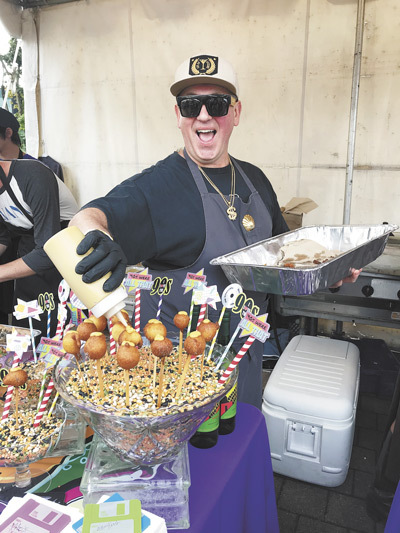 Chefs wowed the crowd with clever, tasty versions of Hot Pockets, filled with crazy delicious blood sausage; Toaster Strudel, starring black pudding; stuffed potato skins, dripping with cheese and pork belly fat; corndogs, featuring octopus; and pizza bites, oozing creamy burrata cheese. Wine coolers even made an appearance with Underwood’s local version — look out, Bartles & Jaymes. 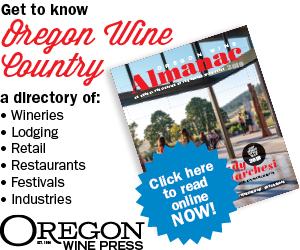 After-parties and dedicated seminars focused on natural wine. In what’s often a prickly subject — I can already feel many a local winemaker getting hot under the collar — Feast handled it with grace, exploring both the upsides (terrior-driven wines rich in flavor and character) and downsides of labeling a wine “natural” (no legal definition and some may be funky, hazy and taste more like cider than wine). Local legends Dana Frank of Bar Norman and Barnaby Tuttle of Teutonic Wine Company explored wines made with minimal intervention alongside Penelope Bass of Imbibe and Kathryn Olson of Seattle’s L’Oursin. When it feels like you’re seeing the world through rosé-colored glasses, you just might be. Because as popular as pink wine has become, the realm of rosé continues to grow as it expands to include beer and cider. Take for example, Angry Orchard’s Rosé Cider made with rare red-fleshed apples from France that add an irresistible blush color to this refreshing dry drink, or Colorado’s Crooked Stave Sour Rosé beer. This pretty-in-pink brew, flavored with raspberries and blueberries, is made with wild yeast and fermented in oak barrels. Bright, bubbly, elegant, and crisp, this one is more than just a pretty face; try it with a variety of food pairings, including pâté, pancetta, ceviche and soft-ripened cheese. As marijuana becomes more mainstream, we see trends moving beyond simple edibles. You can now attend fancy cannabis-infused dinners, and there’s even cannabis-infused waters such as Level Up. In a first-ever for Feast, after-parties included cannabis-infused beer and welcomed Serra, Portland’s cannabis lifestyle brand to the table. Serra partnered with three renowned local chefs, Doug Adams, Naomi Pomeroy and Joshua McFadden, to create a chef series of Woodblock cannabis chocolate bars that debuted at Feast’s Grand Tasting. And, as the demand grows for cannabis cooking and education classes, this year, Feast presented “Sugar High aka How to Make the Ultimate Pot Brownie” with James Beard award-winning author and avid fan of the cannabis industry Martha Holmberg alongside Charley Wheelock of Woodblock Chocolate. From pastrami brisket to Tomahawk steaks, beef is far from an uncommon sight at Feast Portland. This year, even tongue and blood sausage were hot on the scene. But believe it or not, two of the most deliciously memorable bites at Friday’s Night Market were made with Spam. Ravi Kapur, of the Liholiho Yacht Club in San Francisco, brought the house down with the Yacht Dog made with his homemade Spam katsu. And Trifecta’s Chris Diminno had guests drooling over his fried oyster and trifecta Spam sandwich. Salty meets savory. Crunchy meets tender. And scrumptious meets delectable. You may have tasted Cronuts, but have you ever heard of a Cruffin? Cross a muffin with a croissant and you have perfection. Now you know. Twisted Croissant in Portland is the mad genius behind this creamy-on-the-inside, crispy-on-the-outside confection. Using seasonal and local flavors, their mission is to reimagine the possibilities of the timeless pastry. Frankenstein foods have never tasted better.